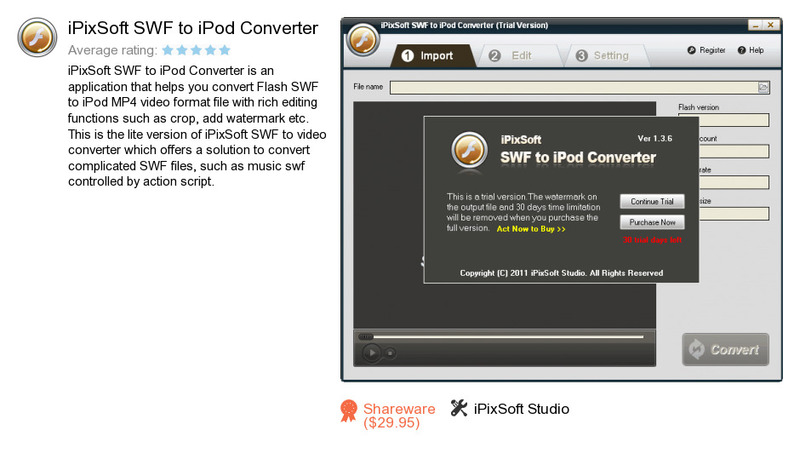 IPixSoft SWF to iPod Converter is a software product developed by iPixSoft Studio. We know of version 1.3. Version 1.3 is downloadable at our site. IPixSoft Studio also publishes IPixSoft Flash Gallery Factory and IPixSoft GIF to Video Converter.